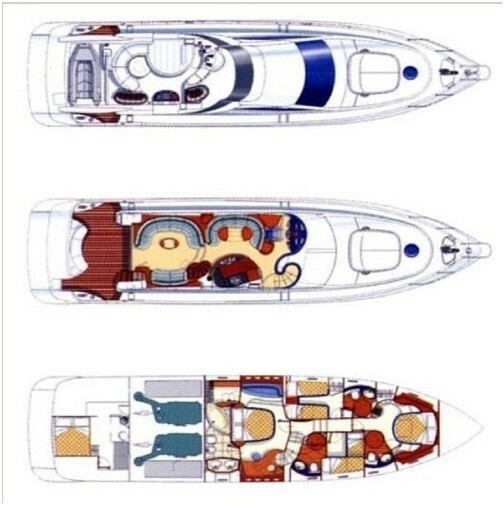 Motor yacht AZUCENA MARE measures 21.6m (70.9ft) and was built in 2006 by the established Italian shipyard Azimut, with design by renowned naval architect Stefano Righini, Crewed charter yacht AZUCENA MARE is available in the Balearics, offering luxury yacht holidays for up to 10 charter guests, in 4 en-suite cabins. 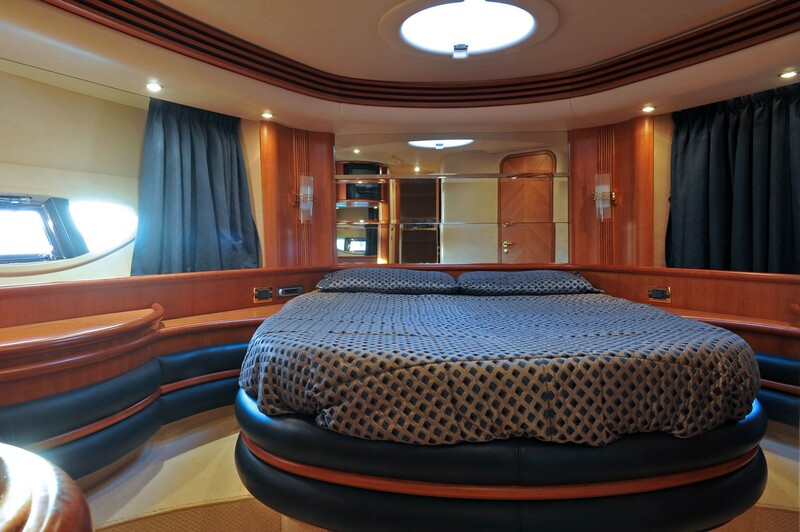 M/Y AZUCENA MARE has a contemporary elegant interior décor by Carlo Galeazzi, featuring supple cream leather soft furnishings and warm wood panels, creating a spacious, light atmosphere. 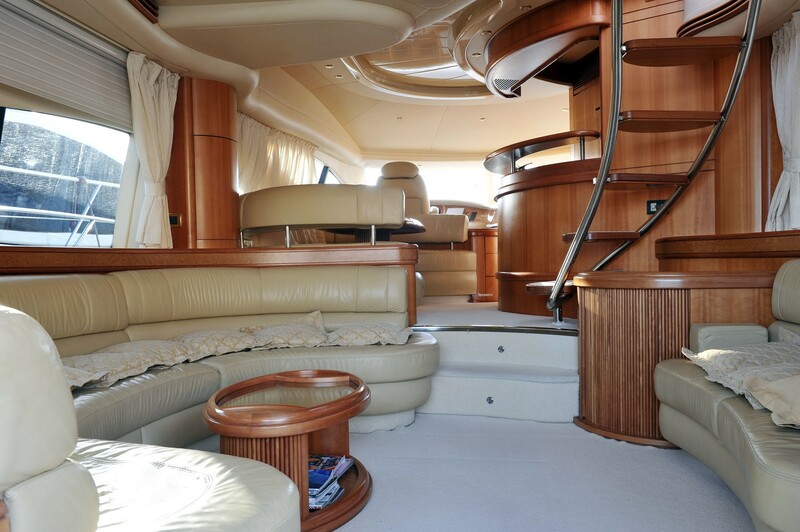 In the salon, the lounge is aft with ample seating on a plush U shaped sofa and love seat. 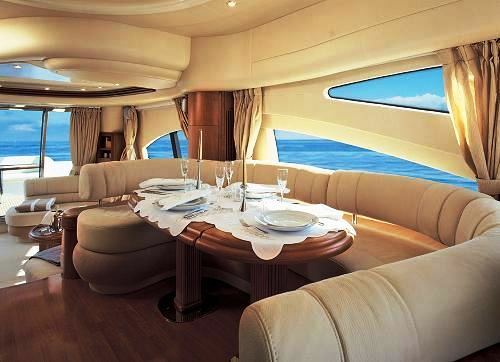 Forward and raised, is the formal dining table, with semicircular seating. 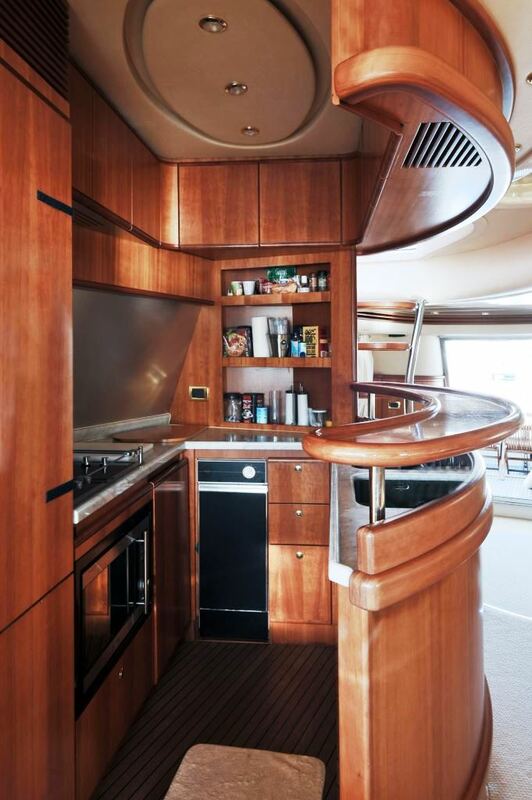 Starboard of the dining table, is the galley with bar top, ideal for evening cocktails. 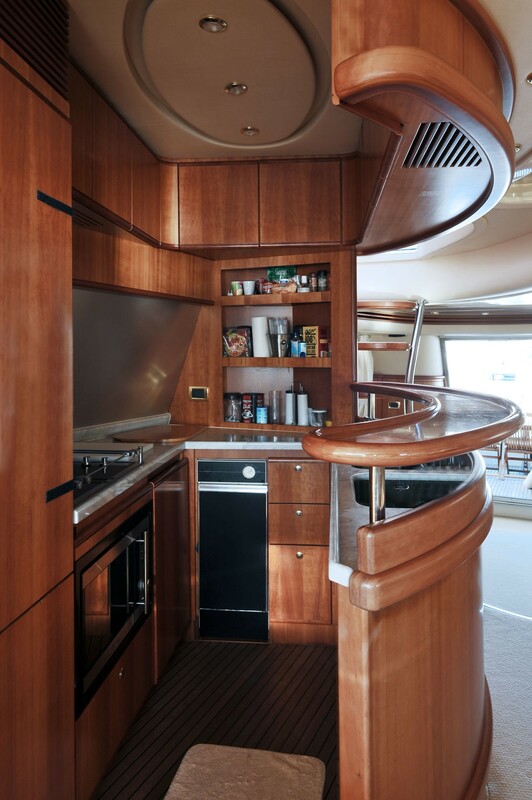 Surrounding windows infuse the entire space with plenty of natural light, while providing stunning vistas. 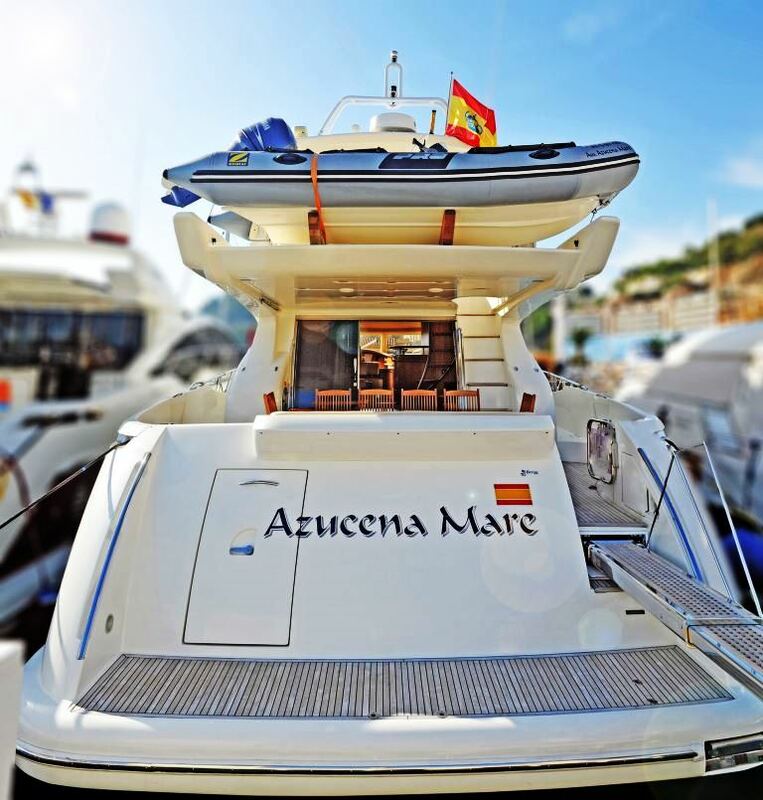 Charter yacht AZUCENA MARE is perfect for entertaining, offering a large shaded aft deck adjacent to the salon, complete with seating and an alfresco dining option. 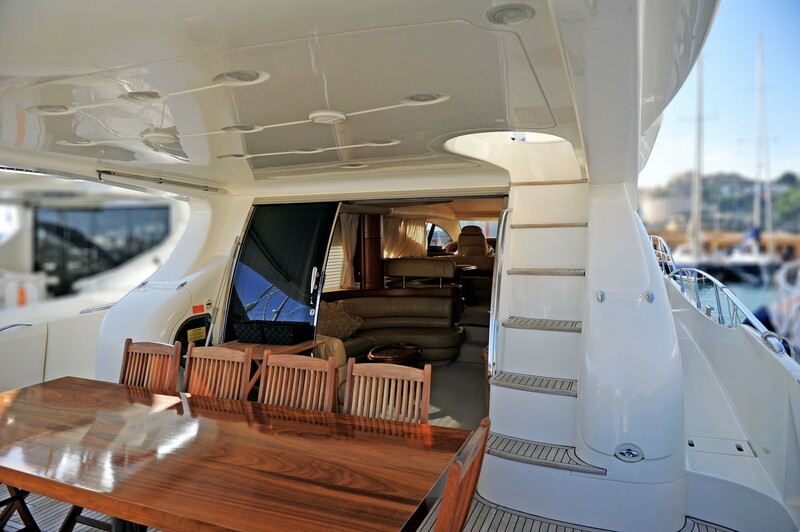 From the aft deck, steps lead up to the flybridge with further seating, sunpads and an alfresco dining option. 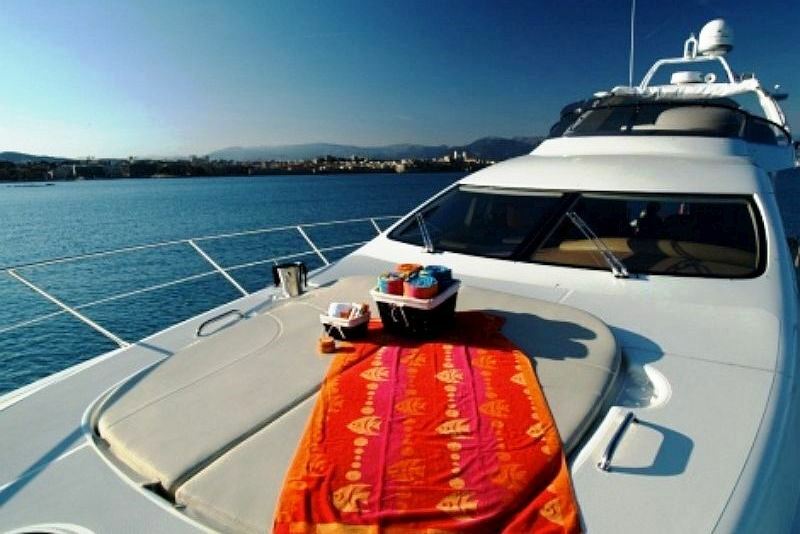 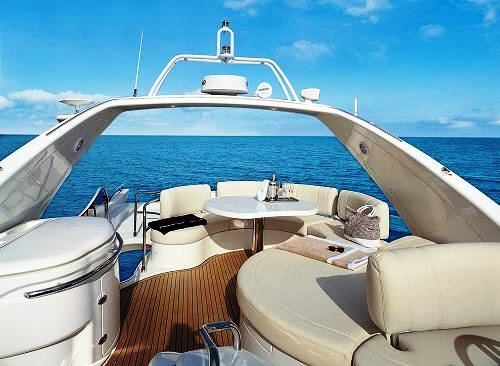 Sun seekers will find the foredeck ideal, thanks to the large double sunpad. Water enthusiasts may enjoy effortless water access, with a full beam extended swim platform. 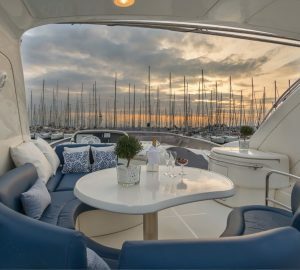 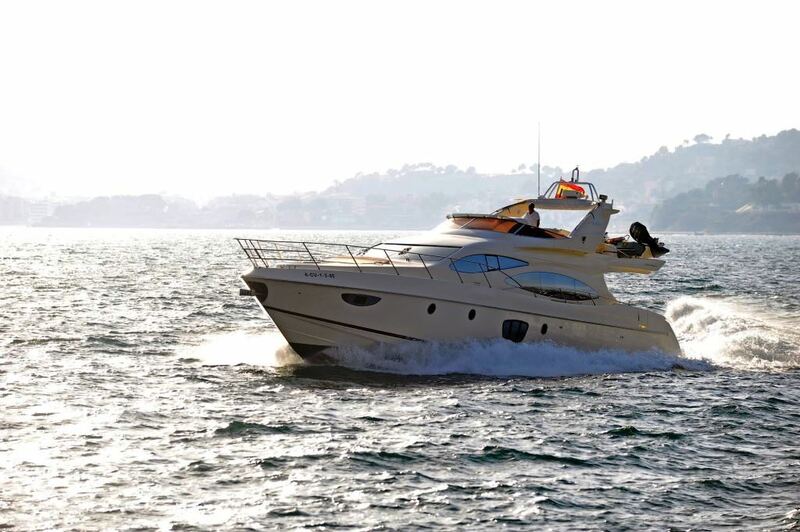 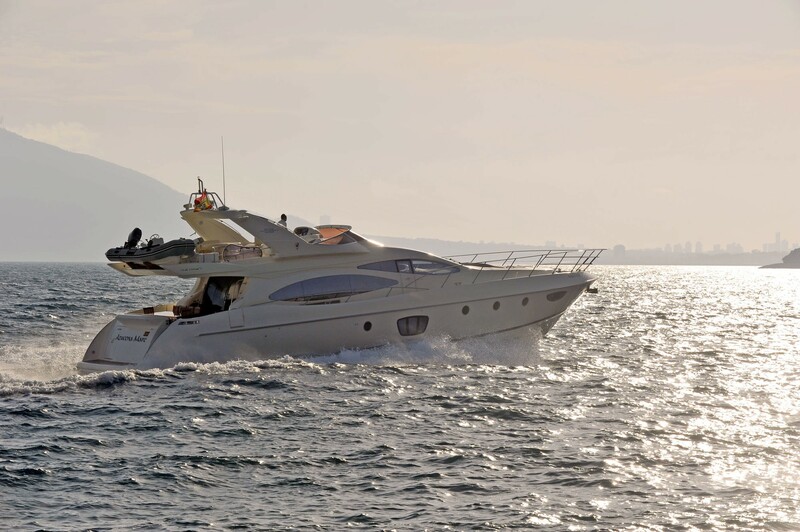 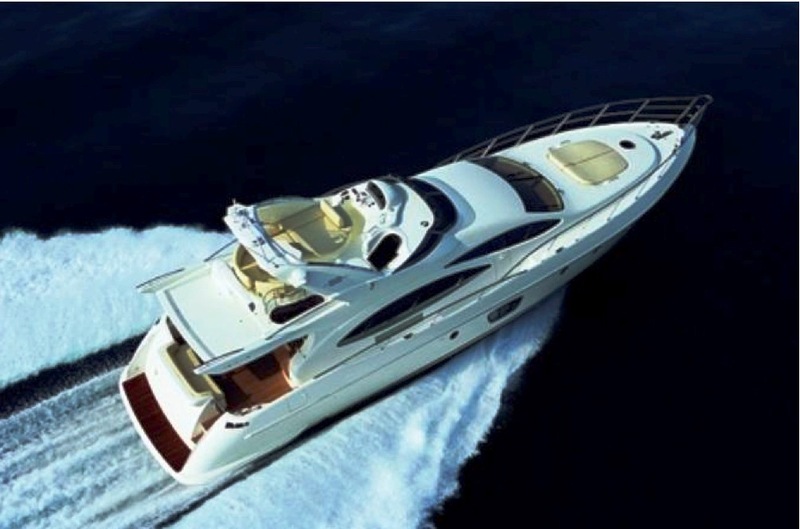 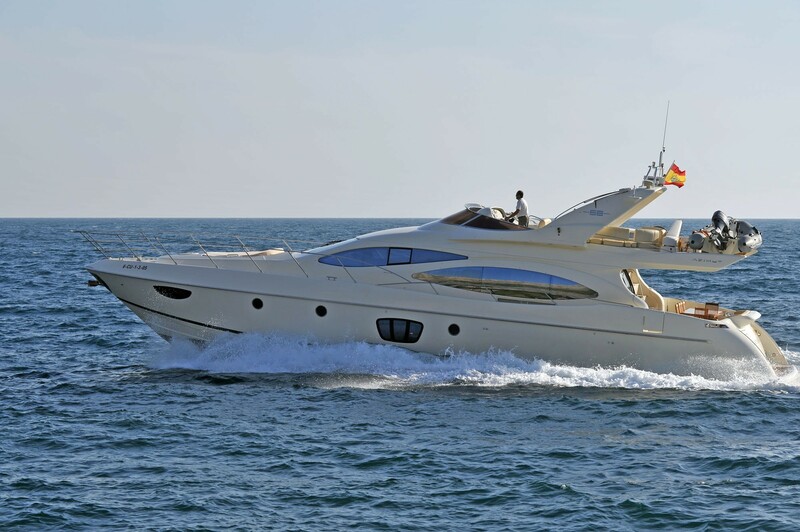 The Azimut crewed charter yacht AZUCENA MARE, is powered by 2 MAN engines and is capable of speeds from 24 – 28 knots, optimizing the exploration potential for her guests. Luxury yacht AZUCENA MARE offers accommodation for up to 10 charter guests, making this yacht ideal for large groups and families. 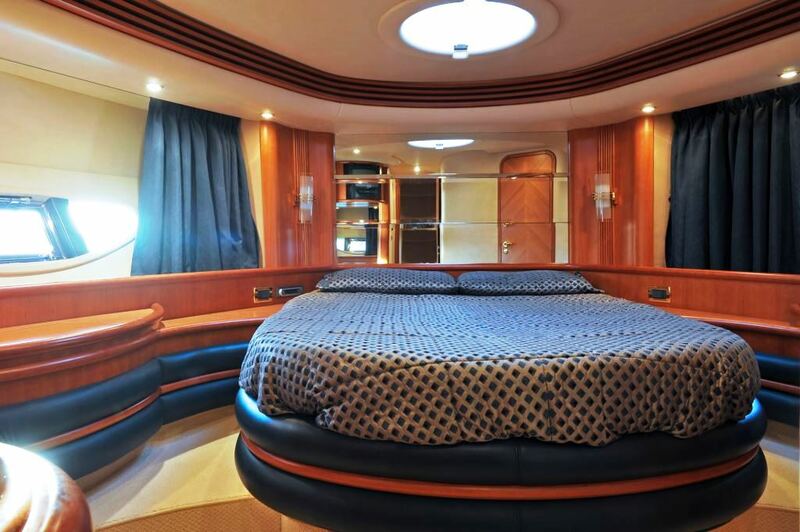 The master suite is full beam of the yacht amidships, with a king size bed, lounge area, vanity, panoramic windows and oversized en-suite facilities with tub. 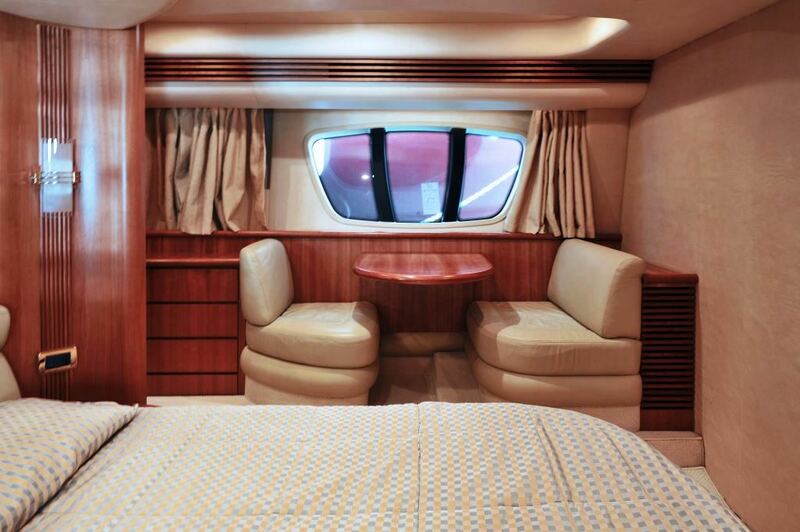 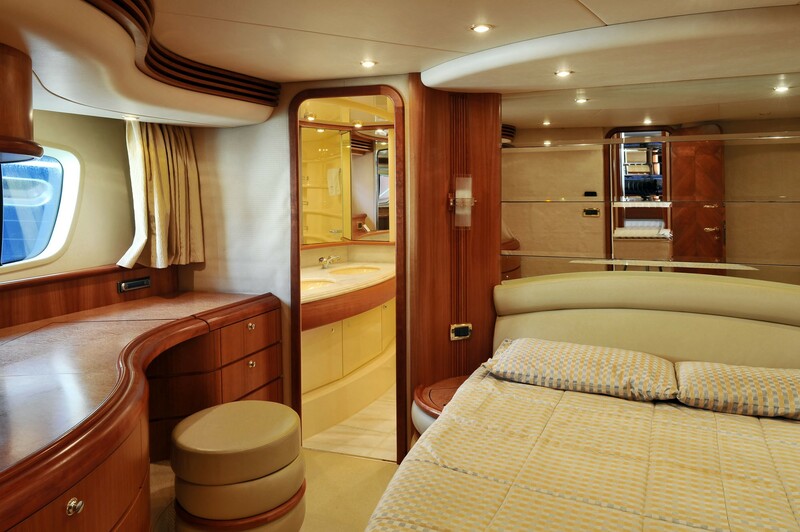 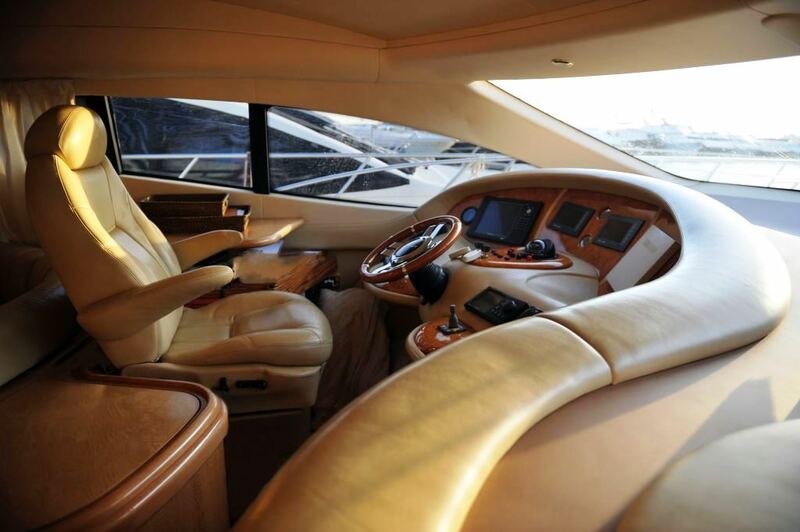 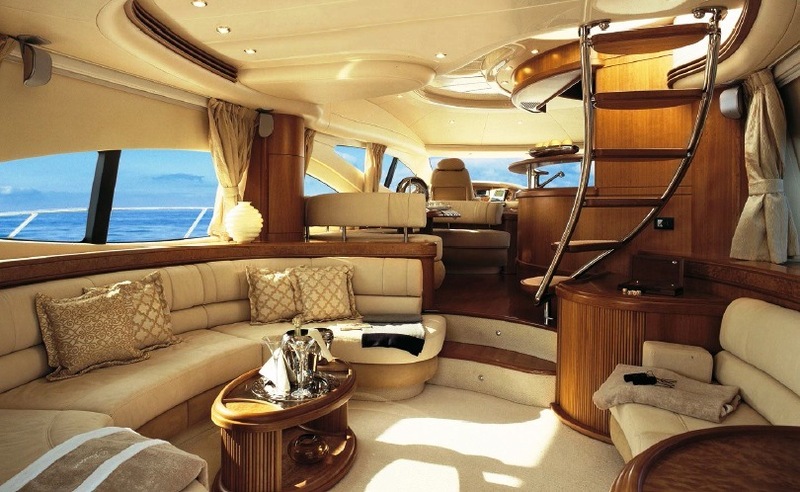 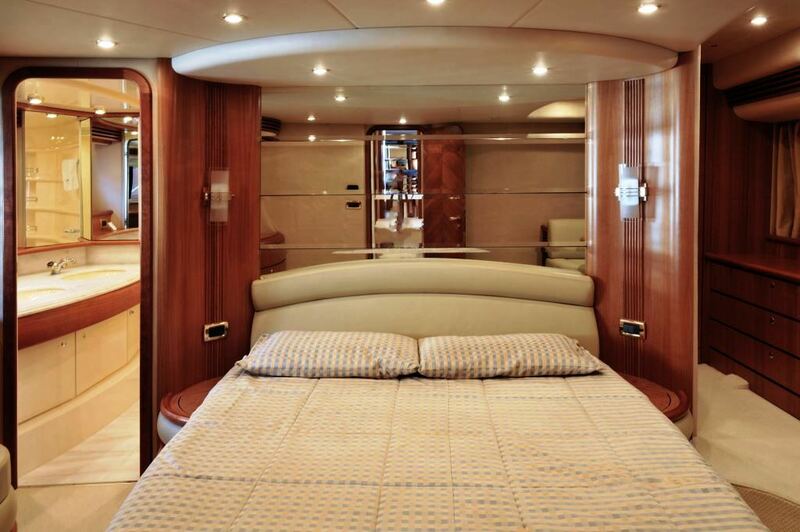 Forward and full beam of the yacht, is the VIP cabin, with queen size bed. 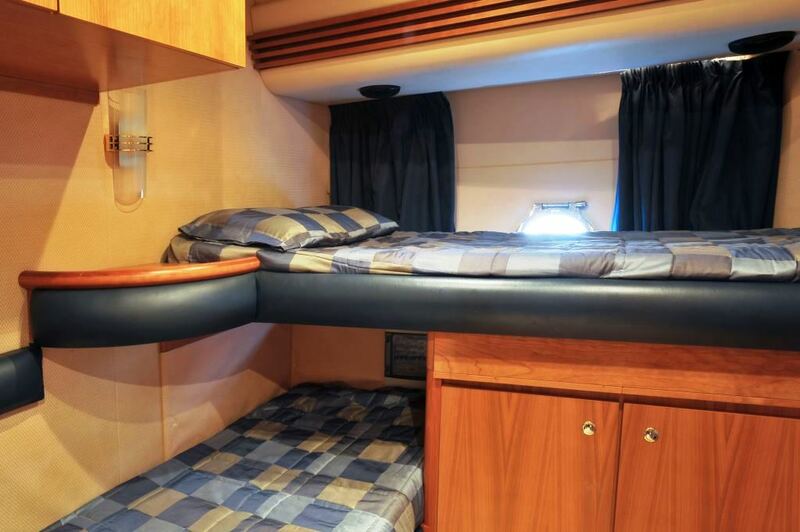 On the port side is a quadruple cabin, boasting 2 lower and 2 upper bunk beds, while a further guest cabin on the starboard side, offers 1 upper and 1 lower single bed, in an overlapping L design. 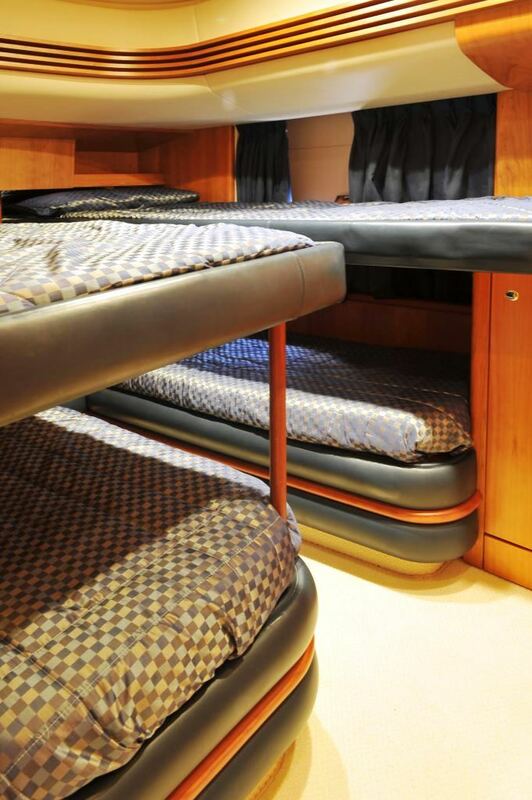 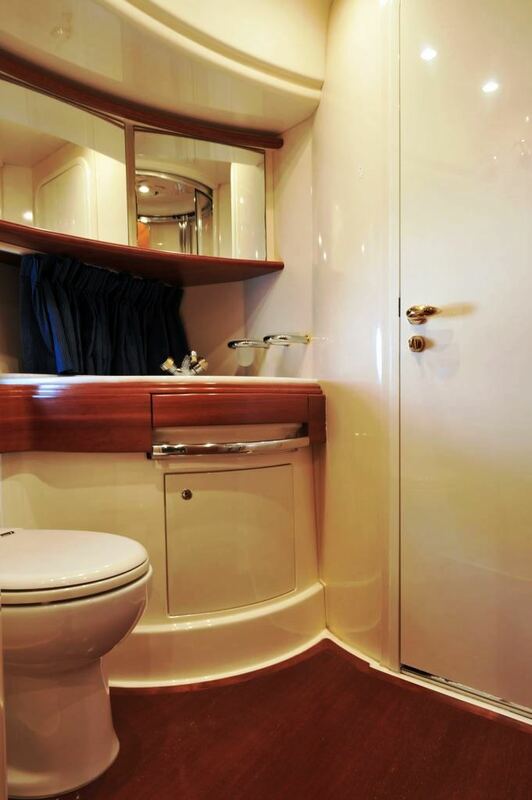 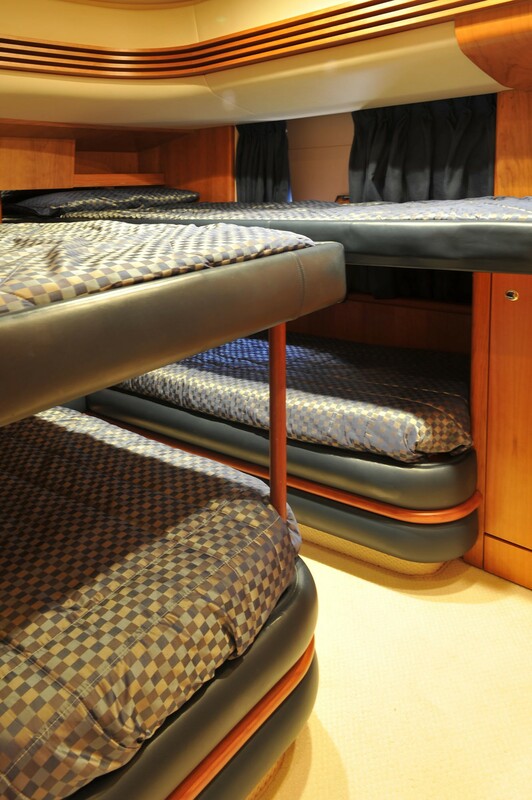 All 4 cabins are fully air conditioned and have private en-suite facilities.